Just 10 miles up the trail from that Bridge of the Gods was our work area, some 25 miles away by road. The hike in would have been nice, but we needed our tools, water, and supplies to establish base camp for a dozen people for a week. Hiking is great, but in that case, driving was better. 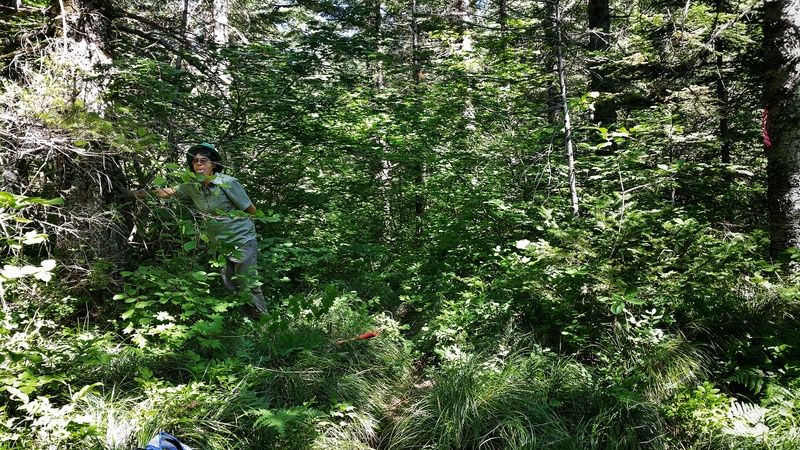 Our goal was to open up the trail corridor which was so overgrown in spots that it was tough to even see the trail. Not to mention the volunteers. It took all of us all day to clear 1/4 mile. The proof was in the pudding the next morning as we hiked up to our next piece of the trail. That is the exact same stretch of trail. Notice the pink and black striped flagging tape on the tree to the right? 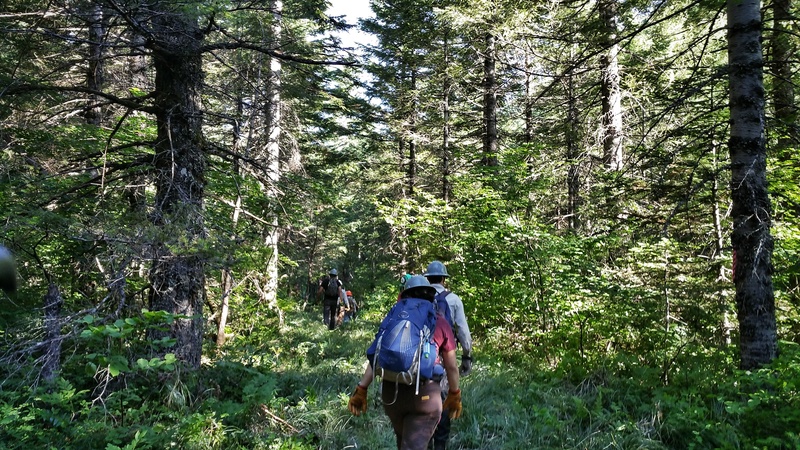 Brushing isn’t exactly the most exciting chore to be done along the trail, but is often the chore with the most obvious results. Especially if you have ever experienced an overgrown stretch on a dewy morning. That’s when it’s a hiker wash, being very similar to hiking through a car wash. While our week was dry, anyone who would hike through here on a wet day would appreciate the work.